You are here: Home / Teaching / Why I teach back to back lessons. Many Piano teachers give lessons in the after school hours. In my studio that is increasingly hard to do as the school district I reside in has decided to extend the school day until 4:40. This means that students can’t come for lessons until 5 which greatly decreases my income earning potential! You can read about how I saved my studio here. I think there are great benefits to teaching back to back lessons. The hanging out student will always prevent you from having an effective break. I started out teaching 20 years ago with a 15 minute break betweeen every student so that I could reset and plan for the next student. This step isn’t necessary as I’ve learned to put back games and materials (well, putting back sheet music is still a work in progress) DURING my students’ lessons. 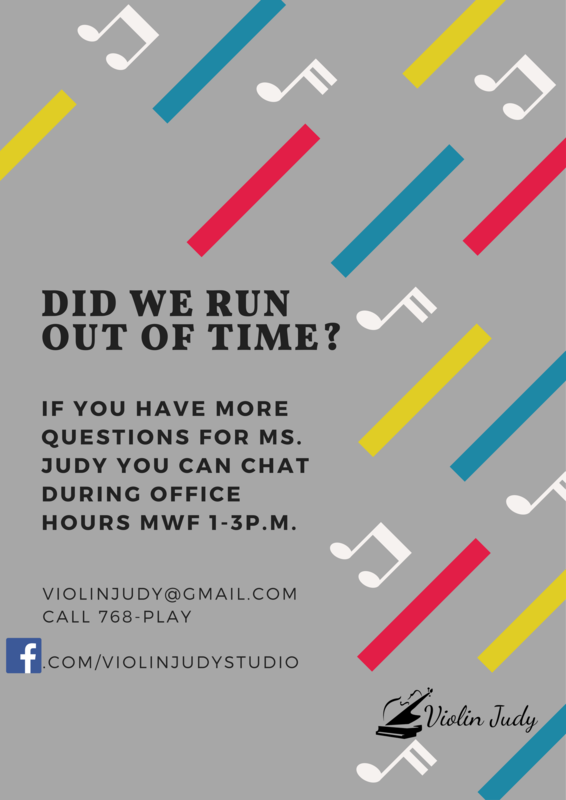 Every time I did have that break I would get frustrated that my students or parents would like to chat after the lesson when I had BIG plans for utilizing every second of that 15 mintue break! Now I have a planning hour before each day of teaching. Your students and parents will understand that your time is valuable and respect your next student’s lesson time by exiting on time. If they don’t a gentle reminder of “this is John’s time now, we will have to chat later about this” is a great way to communicate that their time with you has expired. If you would like a free printable for your studio, here is one I created for mine. You may like to print the fill in the blank version I created for teachers to hang in your studio on the back door or to email to parents. how do you get your free printable? just join my email list for my monthly newsletter by typing your email in the annoying popup box! Thanks. If you would like some easy ideas to invigorate your studio and help you find and retain students please check out my book 60 Day Makeover: Music Teacher Edition. Yes! I wrote this book myself! You can read it on any ipad, kindle or even your computer or laptop. Please note that links on my website are affiliate links from amazon. The very small profit I make goes to the upkeep of this site. Thanks!